Introducing Horizon Tech’s new flagship tank, a sub-ohm tank that’s uniquely designed and geared towards high performance and a classy feel. 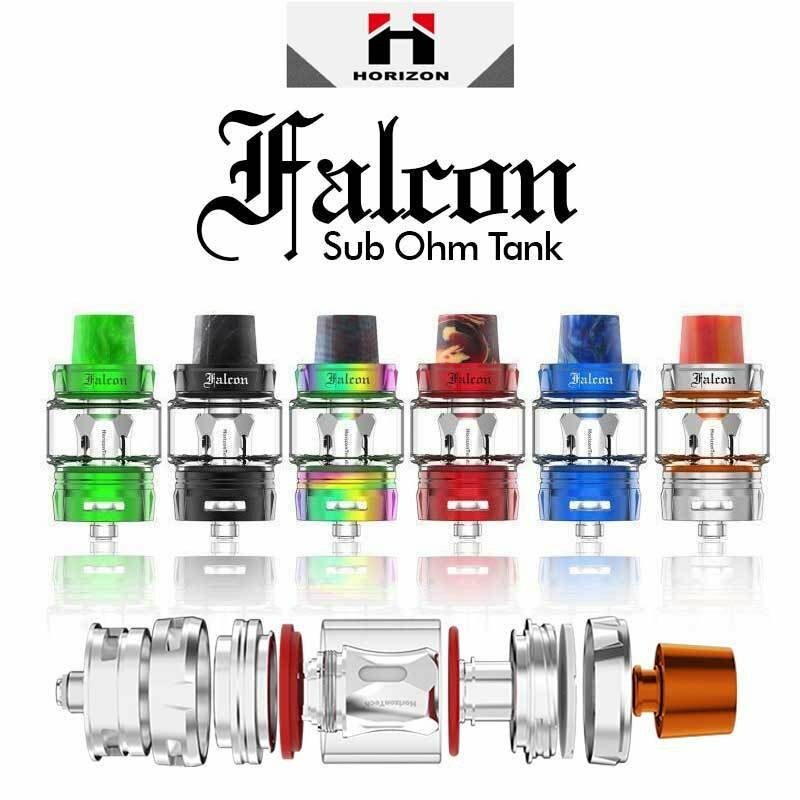 Horizon has been on the edge of innovation with all of its past products, but they’re tipping the edge with the new Falcon Sub Ohm Tank that utilizes Horizon Falcon Coil Technology, which combines flax and wood pulp materials. You’ve never experienced a tank quite like the Horizon Falcon Sub Ohm Vape Tank! Constructed of stainless steel and pyrex glass, you’ll find this 25.2mm diameter tank is an incredible addition to any mod you own. It offers a gold-plated 510 connection and uses a sloped resin wide bore drip tip. Focusing heavily on airflow, the Falcon Tank boasts triple adjustable airflow control to maximize vapor production. Experience the F1 Falcon Coil with 30% wood pulp and 70% cotton and the M1 Mesh Falcon Coil using a mesh design with wood pulp and cotton. It’s an innovative tank that generates great versatility for an improved vaping experience!